Restorations such as fillings and crowns can deteriorate and dislodge. West Monroe dentist, L. King Scott, tells what to do when you lose dental work. The big day is here. You are in a bridal party–an important and prominent position. Suddenly, when eating, you hear a loud crunching noise and realize a dental crown has dislodged. What can you do? Contact your West Monroe dentist, Dr. L. King Scott, for advice. Dental fillings and crowns are the 2 most common dental restorations. Fillings, made from amalgam or tooth-colored composite resin, replace decayed tooth enamel, adding strength and protecting the tooth from infection and sensitivity to hot and cold. Crowns, or dental caps, cover remaining healthy enamel on a tooth extensively damaged from injury, decay, multiple fillings or abscess. Made from gold, porcelain fused to metal or dental grade porcelain, crowns allow restore compromised teeth to full function and appearance. With good at home and in-office care, both kinds of restorations last for years–typically 10 years or even more. However, conditions in the mouth can change over time. Decay around filling margins or at the gum line, in the case of crowns, compromise restorations. Plus, there’s simple wear and tear–biting, chewing, brushing, flossing, teeth grinding. All these factors contribute to loss of a restoration in its entirety or in pieces. First of all, save the pieces of a broken filling or crown if possible. If there is any enamel or soft tissue attached to the filling, keep that, too, and rinse the pieces with warm water. Place them in a sealed plastic bag to transport to Dr. Scott’s office. Then, call Dr. Scott for advice. 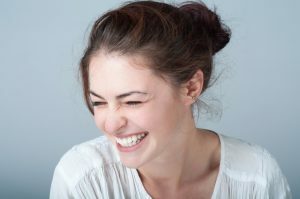 While loss of a restoration is not always an emergency, your West Monroe dentist and his team accommodate these occurrences as soon as possible to prevent further damage and alleviate pain. Additionally, if a tooth is painful or very sensitive, take over the counter ibuprofen or acetaminophen. A dab of natural clove oil, purchased at your local supermarket, relieves dental discomfort as well. If you think you can put a crown back in place, do so using drugstore dental cement, Vaseline, orthodontic wax or denture adhesive to hold it securely. Dr. Scott will carefully examine your compromised tooth and take digital x-rays. A severely decayed tooth may require root canal therapy which removes diseased inner pulp and seals and protects with a dental crown. The West Monroe dentist replaces broken fillings with new material–usually colored-matched composite resin, if possible, for a seamlessly beautiful restoration. If a crown is undamaged and tooth structure intact, he may re-cement the cap in place. If you lose or break a filling or crown, don’t delay. Get the best of care with Dr. L. King Scott. Save yourself embarrassment, discomfort and further dental damage. Contact Dr. Scott’s office team whenever you have a concern, and they will assist you in getting the right treatment.